Home / Stock Picks / Hot Stocks / Who’s Made The Right Call On Cronos Group Stock? Altria or Analysts? Who’s Made The Right Call On Cronos Group Stock? Altria or Analysts? So far, 2019 has been good to Cronos Group (NASDAQ:CRON). Its share price has more than doubled this year. And the CRON stock gains make some sense. Indeed, as I wrote in December, the $1.8 billion investment in CRON stock by Altria (NYSE:MO) seems to be a game-changer. Among cannabis stocks, only Canopy Growth (NYSE:CGC), with $4 billion in hand from its deal with Constellation Brands (NYSE:STZ), looked to be in a stronger financial position. And yet, amid a market sell-off, investors largely shrugged at Cronos Group stock. That’s changed in 2019, obviously, and perhaps it’s changed a little too much. I still believe CRON stock needs to settle down. And I’m not alone. Wall Street has turned notably bearish on the shares in recent weeks. Ahead of Cronos Group earnings next week, those analysts might have a point. As MarketWatch pointed out last week, the Street on the whole actually sees downside ahead for CRON shares. Some 11 analysts on average have a target price of $20.30, or 6.6% below current levels. And recent coverage hasn’t been all that positive. Per MarketWatch, BMO Capital Markets downgraded CRON to underperform. 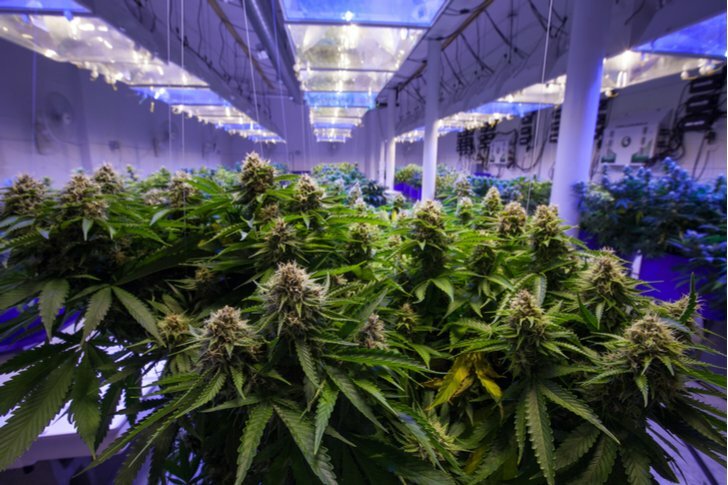 Analyst Tamy Chen pointed out that CRON trades at 80x EBITDA estimates — two times the multiple sported by Aurora Cannabis (NYSE:ACB) and higher than Canopy Growth. Chen isn’t alone. GMP Securities cut Cronos to hold earlier this month. Cowen (NASDAQ:COWN) initiated at neutral. Jefferies Financial Group (NYSE:JEF) began its coverage of Cronos Group stock with an underperform in late February (though CRON stock rose anyway). To be sure, the Street isn’t as always right. And even bearish analysts — including the team at Jefferies — have pointed to a massive opportunity in both recreational and medicinal cannabis. But for investors looking for the best cannabis play, it’s worth noting that the analysts aren’t just focused on valuation. BMO has pointed out that Cronos is trailing other Canadian producers in building out capacity. According to Yahoo! Finance, Jefferies cited concerns about when, exactly, Cronos would spend the funds from Altria — and how much support the tobacco giant would give the pot producer in the early going. While it’s easy to dismiss analyst concerns — and, again, it’s far from guaranteed that the Street is correct — the factors driving the downgrades should be given some consideration. This isn’t a case of analysts simply hollering about near-term valuation metrics, or arguing that cannabis stocks represent some sort of bubble. The common thread in recent coverage isn’t that Cronos Group is failing or that it has no opportunity. Rather, the worry is that the company isn’t moving fast enough in an industry where being a first mover increasingly looks like a key advantage. It’s not just analysts who are making that point. InvestorPlace contributor Luke Lango made the case last month that Canopy Growth, not Cronos, was the best play in cannabis. One reason: CGC stock is actually cheaper on a per-kilogram basis. That can change if Cronos ramps production and puts its Altria funds to work. So far, however, that hasn’t quite been the case. In fact, the company earlier this month swapped its shares of privately held Whistler Medical Marijuana for shares in Aurora Cannabis. That deal highlights the difference between the two companies. Aurora’s strategy clearly is to take as many shots at as many opportunities as possible in the shortest amount of time. With that strategy, it’s possible that Aurora is taking on too many projects. But in a fluid market (from both a competitive and regulatory perspective), and one with multiple products (recreational, medical, CBD, edibles, etc. ), Aurora is trying to gain exposure to as many markets as possible. Whatever it is, with the highest valuation in the cannabis stock, the status quo isn’t enough. Cronos needs to post an impressive earnings report next week — and not just in the numbers. Rather, the company needs to convince investors that it can take advantage of its cash, and put that cash to work to drive growth. It won’t be easy – and at these prices, expectations are going to be high. Article printed from InvestorPlace Media, https://investorplace.com/2019/03/right-cron-stock-cronos-group-stock-altria-analysts/.